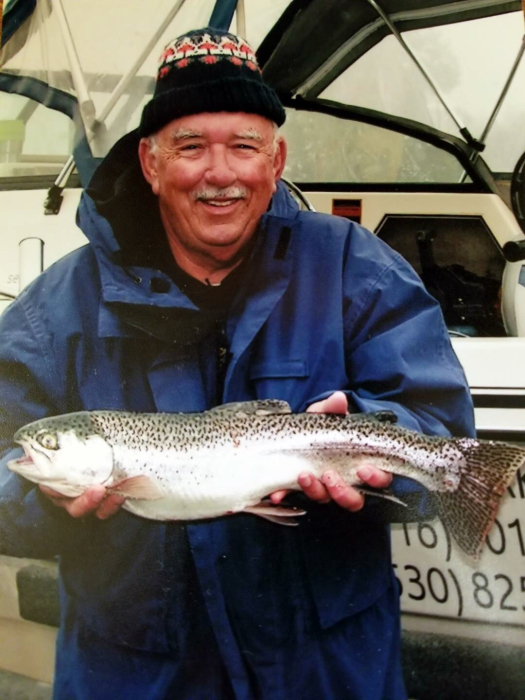 Obituary for George Louis Shea | Price Funeral Chapel, Inc.
Of Sacramento, CA, passed away on March 22, 2019, a native of Maine, age 77 years. Predeceased by his wife Constance Mae Shea, her parents Cecil Mahurin II and Ann Mahurin and his mom, Eleanor Shea. Survived by his only daughter, Deborah Jean McDow, her husband, Rob McDow and grandson, Jordan McDow, his niece, Michelle Free, her husband, Brian Free, and their two daughters, Rachel Free and Sarah Free, his niece, Heather Edwards, her husband, Dustin Edwards, and their two children, Matthew Edwards and Kelly Edwards and Cecil Mahurin III and Colette Mahurin. George loved his family and friends and all people. He was funny and fun loving. He enjoyed fishing and the outdoors. He loved adventures and trips and he did many things in his life. He was the best dad, grandpa and uncle and was loved by all. He will be missed. Friends are welcome for visitation on Sunday, March 31, 2019 from 2-6PM at PRICE FUNERAL CHAPEL, 6335 Sunrise Blvd., Citrus Heights, 916-725-2109, and are invited to attend the graveside service on Monday, April 1, 2019 at 2PM at Belmont Memorial Park, 201 North Teilman Ave., Fresno, CA. Online condolences can be made at PriceFuneralChapel.com.